New Mortgage Servicing Rules Proposed- What Does it Mean for You? The Consumer Financial Protection Bureau announced on August 10th proposed rules with the goal of improving customer service for homeowners when they interact with their loan servicers. Today we’ll look at the first half of the rules. Mortgage loan servicers are the people that “service” your mortgage by collecting your monthly mortgage payment. In many cases, the servicer doesn’t actually own the mortgage. Instead, the servicer’s job is to collect your payment, take a small cut for themselves, and then send the rest of your payment to the investors that own your mortgage. (The Federal Deposit Insurance Corporation has a diagram of this arrangement: Securitization Diagram.) 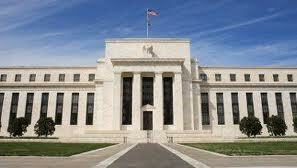 However, some banks did keep mortgage loans after they made them, and continue to service the mortgages. Homeowners have no authority over who services their loan, and the servicing of their loan could be transferred to multiple different companies over the course of the loan. Homeowners can’t “shop around” if they have a servicer that provides poor customer service, and some experts have suggested that this arrangement may lead to servicers providing poor customer service without any consequences. The new mortgage servicing rules, announced on August 10 by Richard Cordray, the Director of the Consumer Financial Protection Bureau, would address poor customer service that some homeowners have experienced from their servicers. Mail clear monthly mortgage statements with clear information about the principal, interest, any fees being charged, escrow, and the amount and due date of the next payment. Warn customers earlier if an interest rate on an adjustable rate mortgage is going to adjust. Inform customers about the consequences of not having property insurance, and alternatives to “force-placed” insurance (this is insurance that a servicer buys for the consumer if they haven’t bought it themselves, in many cases, it costs more than regular property insurance). Reach out to homeowners and inform them of options to avoid foreclosure. In our next post, we’ll look at the second half of the CFPB’s proposal. Do you have any rules that you think loan servicers should have to follow when collecting your mortgage payments?